On 10 November, like many days over the last two years, reporter Lorenzo Tondo was sitting in a courtroom in Palermo. 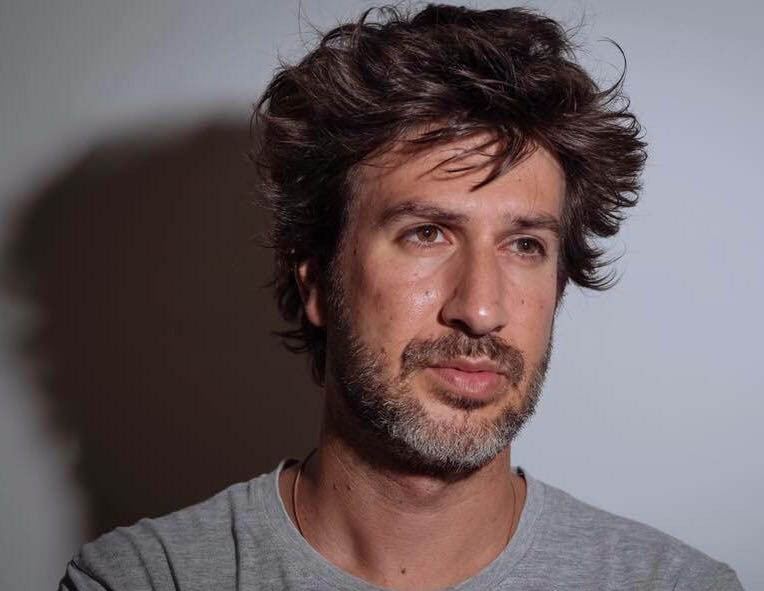 A correspondent for The Guardian, he has been following closely the trial of an Eritrean man accused by Italian investigators of being at the helm of an international people-smuggling ring. Tondo was among the first to point out, through painstaking investigative work, that, in reality, the person standing in the dock might be a refugee, a victim in a case of mistaken identity. So, when prosecutors announced new evidence had been filed during the latest hearing, Tondo was eager to get his hands on it. He rushed down to the records office, obtained a copy and started flicking through the hundreds of pages. He was halfway through the documents when something odd caught his attention. His own name appeared: “Two conversations and a text between Haile Fishaye Tesfay and journalist Lorenzo Tondo, correspondent in Italy for the British newspaper The Gardian [sic] have been wiretapped,” the record states. The investigators he had been covering for over a year, had listened to his private calls with a source and published the transcripts, in a violation of his professional rights. Tondo was particularly struck by how trivial the conversations published in the documents were. He was not commenting on or revealing information about any possible crime. Tesfay had been helping the reporter translate documents from Tigrinya, a language spoken in Eritrea, and they were now discussing his potential involvement in an upcoming documentary about the case. The transcript shows that, after Tesfay voiced his worries about being identified by people traffickers, Tondo assured his face would not be shown. This promise of anonymity was shattered by the investigators’ decision to release the wiretaps. Albeit disturbing, Tondo’s wiretapping is far from an isolated case of the Italian judiciary’s intrusion into the work of Italian reporters. Journalists have been secretly recorded on a number of recent occasions. Even more commonplace is the practice to serve media outlets or individual reporters with orders to hand over evidence and journalistic material. Just a few days after Tondo’s case emerged, officers from Guardia di Finanza, Italy’s financial police, raided the newsrooms of Il Sole 24 Ore and La Verita, two national dailies, and seized the digital archives of journalists Nicola Borzi and Francesco Bonazzi respectively. The two had just published articles, based on leaked information, detailing the links between Italy’s spying agencies and Banco Popolare di Vicenza, a bank currently in liquidation. Although some newspapers have expressed concern and the journalists’ association denounced the violations, these episodes have largely gone unnoticed by mainstream public debate. As Tondo pointed out, wiretapping forms an integral part of most investigations in Italy. In indictments, the bulk of the evidence is extremely likely to be drawn from secretly recorded conversations. Their wholesale use dates back to the bloody mafia wars of the early 1990s, when the Sicilian crime syndicate, Cosa Nostra, routinely killed prosecutors, judges and politicians, threatening the very foundations of the national democratic state. In the fightback that followed, investigators have been granted wide-ranging powers. A strategy that has been successful in curbing the power of mafias, but which may have worrying side effects. In his case, Tondo argues that by publishing a transcript of his wiretapped conversations prosecutors might not only have violated his professional rights but also potentially broken a law. Article 271 of the Italian criminal code forbids the use of wiretapped conversations of a range of professionals, including journalists, when they would reveal confidential information obtained because of their role. After taking legal advice, Tondo is now evaluating the best course of action to protect himself from further intrusions. In the meantime, his work to lay bare what he believes to be an egregious miscarriage of justice continues. Despite the working situation in Palermo is becoming increasingly tough for him. Criticising the local prosecutors’ office cut his access to a steady flow of information and made many colleagues, relying on investigators for their exclusives, turn their backs on him.